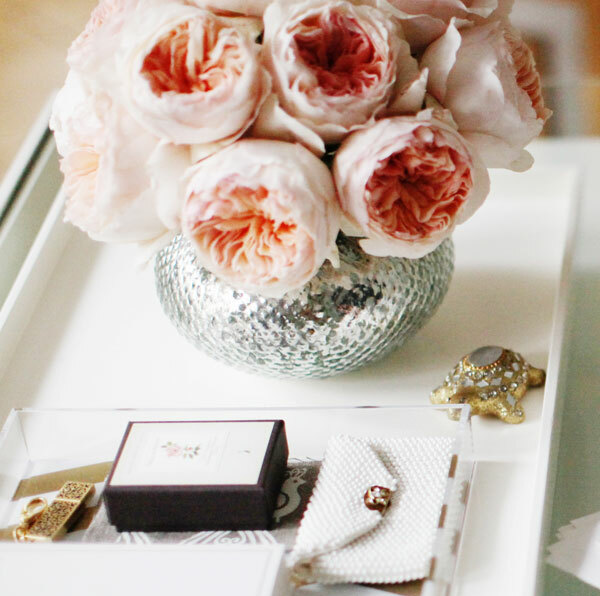 Chic Office Ideas | Couture Makeup Blog - Makeup Artist Serving San Diego and Orange County. I am a sucker for a beautiful work space. I crave beauty all around me, especially when I am working. It helps to inspire create beautiful visions for all of my wonderful clients. 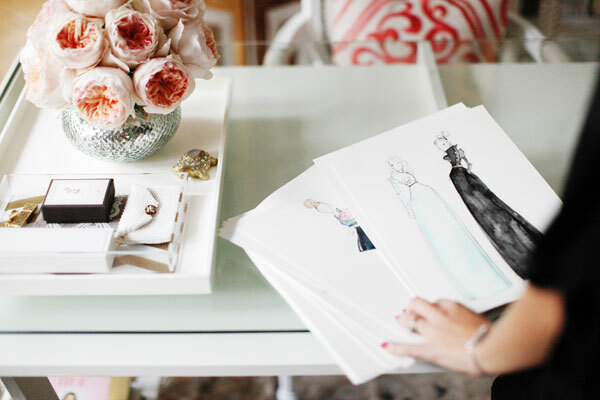 Bottom line, a relaxing and gorgeous work space is imperative for my own inspiration. This dreamy, chic, light and airy space showcases it all. 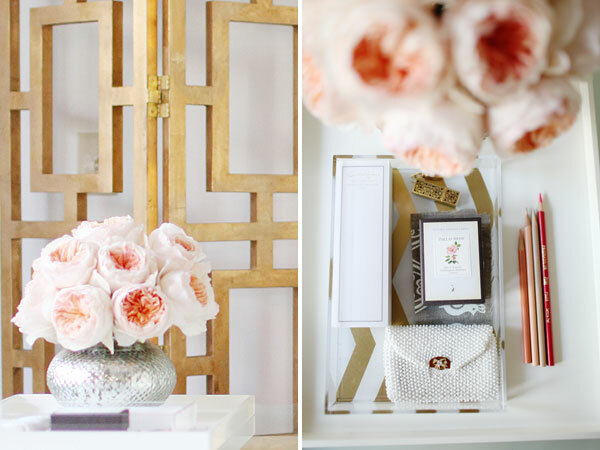 Beautiful pink peonies — enclosed by the most elegant vase — is complemented by several gold lined mirrors, hung and placed against fresh white walls. The elegant, yet simple, white furniture completes this bright and airy space. 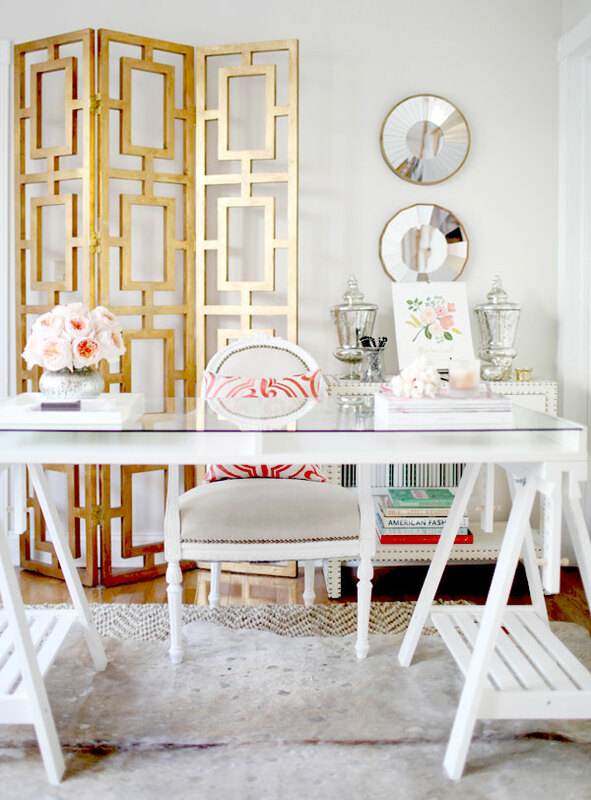 The classy and timeless feel of this work space is stunning and lovely. It creates an elegant haven, set apart from the rest of the world and ideal for my creative genius to flow! Enjoy this peak into my private style and decor!